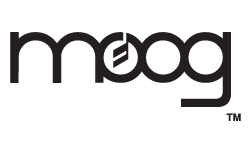 The Moog Theremini is a re-imagination of one of the oldest electronic musical instruments in history -- the theremin. The Theremini guarantees immediate success for any player at any skill level, while providing ways to experiment with music, education, and gestural control. - Assistive pitch correction with selectable scales and root note allows each player to adjust the instrument's level of playing difficulty and set scale and root. Available until 11 PM (EST) today. Mention special code 208-0ZZD when you call.